Woo-hoo! The winter Olympics are right around the corner! 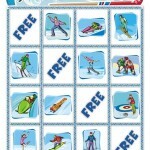 A few pages that are getting really popular lately are my Olympic bingo cards and these Olympic kids crafts. These coloring pages for the winter Olympics match the bingo illustrations, so they would be great together as party activities. It’s kind of funny how every four years people start talking about bobsledding and curling, isn’t it? For most of us, it seems like many of the winter sports just aren’t something we encounter every day. Then the Olympics come around, and all of a sudden we’re experts on luge and calling out scores for figure skating as if we know what the heck we’re talking about! There are just so darn many things to love about the Winter Olympics. There’s the dueling senses of unity and competition as practically the whole world comes together but then tries to win. 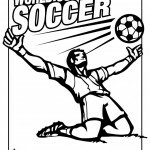 There’s the absolute athletic prowess of human beings who have devoted their lives to a sport. There’s the beauty of movement as participants slide, glide, and perform amazing feats on the snow and ice. Seriously, what’s not to love? 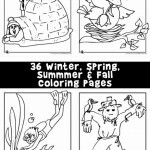 These Winter Olympics coloring pages are great for helping get your kids or students excited about the events. They also might be a nice way to keep them distracted so you can focus on the TV, too! This website is really great for teachers!!! Awesome ideas, but do you have anything in French? If you’re looking for a translator, please let me know.